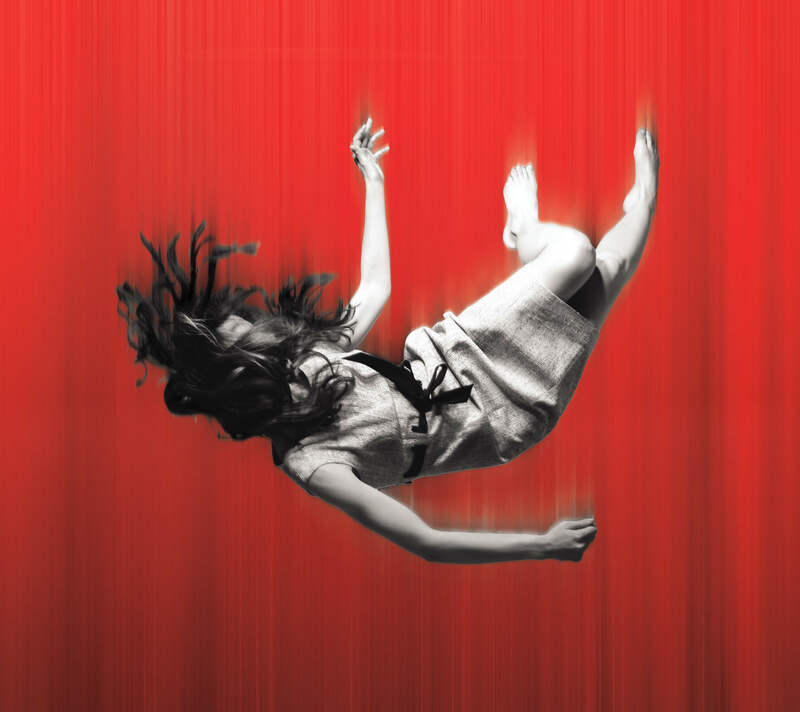 Falling is written by Theatre Alibi Associate Writer Daniel Jamieson and directed by the company’s Artistic Director, Nikki Sved. The show combines testimony with vivid physical re-enactment. It’s also a highly visual show with projection and puppetry. An original live score for electric guitar and a range of loop and echo pedals provide a visceral soundtrack and a range of sound effects that will help drive the tension of the piece. It’s five o’clock on a normal weekday evening. Claire and her teenage daughter Alice are making tea. Alice pops out to fetch some apples from the shed. But in the blink of an eye, she’s disappeared down a gaping hole that’s suddenly yawned open on the lawn… What happens when a single, unexpected moment, shatters life as you know it? As mother and daughter deal with the aftermath, a whole new void develops between them. In a raw and intimate show by award-winning writer Daniel Jamieson (The Flying Lovers of Vitebsk) and with a powerful live score, Falling tells the ultimately hopeful story of how the pair navigate their way towards a new normal.